Scott and Meredith Layton had been in the sweets trade for a couple of years prior to opening Buttermilk Sky Pie Shop. Pulled by their strong family roots, they decided to transition to pies in 2013. Reaching to achieve the high standard of both of their grandmothers (Ruth and Edith) for their very own customers, Scott and Meredith insist that every pie baked in the shop is from scratch. 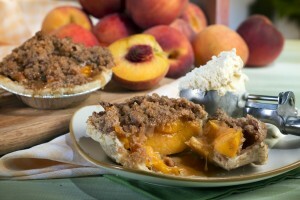 Most importantly, even their crust, the secret behind their pies, is scratch-made from a family recipe. The first Buttermilk Sky Pie Shop opened in 2013 and their great success impelled them to open a second location in a strip mall only a few months later. The name Buttermilk Sky sprang from Scott and Meredith’s commitment to use real ingredients, including fresh fruits, and from their desire to evoke the look and feel of white fluffy clouds painted on a blue southern sky. The brand encompasses everything southern and homey, much like their grandmother’s kitchens. The corporate culture exemplifies southern hospitality – so naturally the Layton’s hire employees who are passionate about pie! Developed Buttermilk Sky’s unique positioning in the marketplace - "Nostalgic experience that takes you back to a simpler time when made from scratch meant made with love"